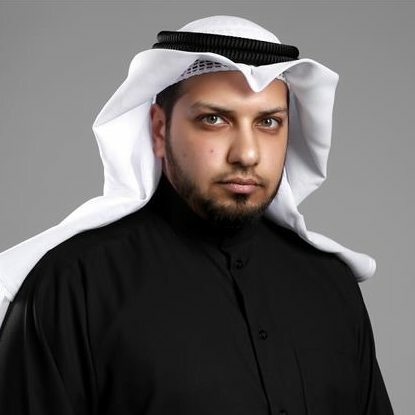 Message From Cyberkov CEO Abdullah AlAli | Cyberkov | Professional Cybersecurity & Consultation Firm. Ever since its inception as a specialized Information Security firm, Cyberkov has been upping the ante and beating its own achievements day by day in a clear, quality-acculturated path to the peak of success. It is not a secret that the Middle East region is rapidly growing and facing new challenges that require adaptive responses, and Cyberkov has proudly enabled many organizations in the region to become better equipped to rise above these challenges and emerge victorious. Recently, Cyberkov received recommendations from prestigious institutions around the globe including the Physics departments of the European Organization for Nuclear Research (CERN), Massachusetts Institute of Technology (MIT) and Harvard University. Cyberkov also worked with many highly-regarded organizations such as regional Oil & Gas companies and government entities. Armed with innovation, honesty and commitment; Cyberkov is now preparing to leap forward to yet another level of excellence, and we plan to have our clients & partners reap the benefits of this huge progressive transformation through exchange of trust, guidance and exceptional service. Security is no longer a technical problem; it is in fact a problem that is first assaulted from the boardroom of executives. This fact is exacerbated by the unstoppable trend of businesses and organizations becoming border-less in lieu of globalization of markets and outsourcing. Nevertheless, vision and proactivity reign supreme, and organizations that take the initiative in cyber security are more able to defend, counter and mitigate threats before they grow into disasters and breaking-news. To assist organizations that wish to be proactive, Cyberkov increased its portfolio of services to include IT Security Roadmaps and PKI Consultations; two strategic-level services directed at executives and leaders who wish to incorporate security into the business processes and goals of their organizations. Our commitment to the mission of privacy and internet freedom has not faltered, as we continue to run and update the official Cyberkov Blog for benefit of internet citizens. In the blog, visitors can read the latest reports, articles and tutorials about privacy, surveillance, user security and electronic freedoms. To bolster our privacy mission, we have partnered with ProtonMail, the promising secure mail system that is making headlines in the tech media everywhere. Cyberkov does not forget the importance of education, however, and that is precisely why we now provide security awareness training to both employees and the general public, in order to spread the knowledge of corporate & personal security and make it accessible to everyone. Only through education can organizations and communities become secure and resilient to threats. Your organization is invited to be protected and trained by the experts you know and trust.